Churches that depend upon volunteers or small staff that need simple & affordable church membership and true fund accounting software. First month is just $1.99 Different tiers include additional features. FlockBase provides churches of all sizes with user friendly church management software at highly affordable rates. We strive to make it easy to track your membership, groups, attendance, pledges and contributions. 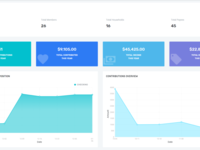 Beyond that, our true fund accounting integrates seamlessly with contribution tracking, making it really simple to track finances for your church and pay vendors and employees. We can also provide online giving and direct deposit. Comments: I began using FlockBase Accounting (FBA) shortly after becoming Treasurer of Riverside United Church in New Brunswick, Canada. I had very little accounting experience or knowledge, and virtually none specifically in church finances. Learning the program and its intricacies was challenging. It is not a business-oriented accounting program, and thus some familiar reports and items are not available, and there are some new ones. Throughout this process, the telephone and email support from FBA was simply excellent: very knowledgeable, very thorough, and very patient. Once I got familiar with the program and its potential, I realized just how good it really is. Not only does it track all income and expenses, but it also ties each of these to a specific fund and account. It is this incorporation of fund accounting that makes the program so unique and so valuable. At any time, I can get exact fund balances as well as account balances, and thus get an in-depth picture of our financial status instantly. Reports (eg for Annual Congregational Meetings) are both more complete and more informative, because I have far better material to use in preparing them. Arranging and maintaining back-ups is very straightforward. Because of a recent computer crash, I have had occasion to test this. The system works like a charm, with no lost data and easy re-establishment of the system. I recommend this program in the highest possible way. Though it does require some work to understand how it works (and that may say more about me than the program), the effort expended is more than justified by the results. The superb support and quick and easy access to that support is a real bonus, and far superior to any I have experienced with ANY other computer-related matter. The fact that the program is so inexpensive makes the $50 annual fee for support and upgrades a worthwhile investment. Pros: It's easy to use. Cons: If I'm needing to open more than one members info and I'm working alphabetically , upon closing it one, it automatically goes back to the very top of the list and I have to keep scrolling back down to find the next one. I personally prefer it to be at where I left off. Recommendations to other buyers: None at this time. 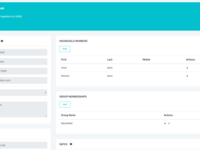 FlockBase is a great program!! Comments: I love this program! A few years ago my pastor gave me permission to get a new church membership management program. We had been using a well-known expensive program that I really wasn't happy using. So, I searched the internet and that was how I found FlockBase. It was very reasonably priced and looked like it would meet our needs. I got it and have been very pleased with it. FlockBase came with a user's manual - and it was very helpful and easy to follow when I initially purchased the program for our church. 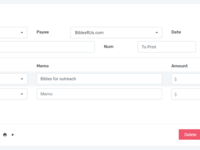 I had FlockBase set up and customized that first day and I was able to begin processing church member's offerings immediately. I've also been able to continue customizing FlockBase as needed over the years that we've had it. I've called their customer service once or twice in the past when our computers crashed and the FlockBase folks were right there to make sure that our beloved FlockBase was up and running again and to answer all of my questions. 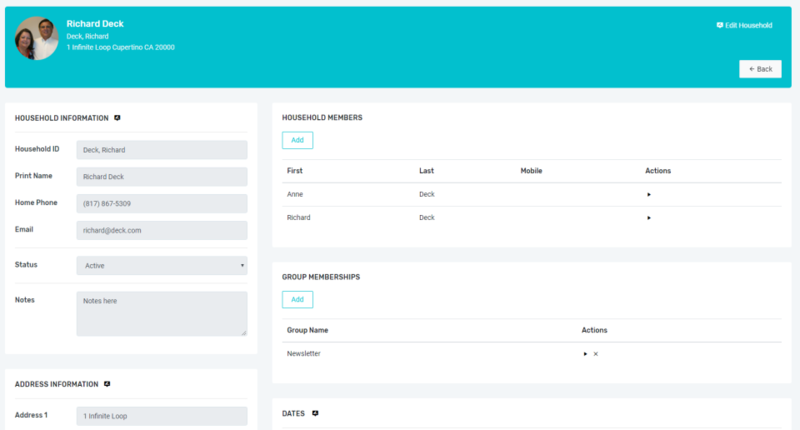 I highly recommend FlockBase for any church looking for a church membership management program that is comprehensive yet easy to use and to keep track of offerings. In fact, as I type this, I'm getting ready to print out our annual reports and FlockBase makes it a breeze!! Pros: Does church attendance, contributions and member detail easily. Easy to print reports. It is easy to use, never crashes, is very reliable. Nothing. I have no complaints about this software. I think it does what I need it to do simply and easily. I never have issues with the software. Overall: Easy to do the job I need to do. Saves time because it always work as it is designed. Very easy to use. 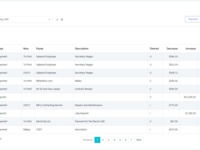 Pros: Database was easy to use with many features that provides a wide variety of useful reports to our management personnel. Cons: All features provided useful information and documentation. Overall: Product was an excellent additional to our membership accountability for our church. Used product for several years. Updates provides great enhancement. Very easy to get started entering data and reports are outstanding. Recommendations to other buyers: Excellent product at a great price with outstanding support. Comments: My church has been using this software for sometime. I just started using this April of 2015 and was trained by a person in my church that was not real familiar with the program. After some time and struggle I contacted the support team. After a three hour course with Ken on the support team, I am now familiar with the program and no extra reports will have to be generated outside the reports of the software. The support team are awesome to work with. This program works real well with our church, which is a small congregation. I would recommend this software to anyone. We certainly appreciate it when a user takes the time to provide a glowing review, but I would like to point out that we do not provide training courses. Ordinarily, a user only has to follow the guidelines in our User Guide for a an easy and successful experience. In this customer's case, her predecessor(s) had not followed the guidelines and had a lot of historical data that needed to be repaired as well as placed on the right track for future use. While we were happy to provide this assistance, it went well beyond normal technical support. Extremely happy with FlockBase - it was a God send for our church. Comments: FlockBase is easy to use and coupled with great customer service, we are extremely happy with this program. We found out about FlockBase by doing an Internet search at a time when we had a computer crash and lost all of our contribution and member data. While trying to retrieve the data we found the customer service with the program we had at the time was less than adequate. We then decided to purchase FlockBase and have been using it for over 2 years. We use it to enter contributions; keep addresses and phone numbers on all of our congregation - members and non-members; enter weekly attendance and print attendance reports; print picture directories; keep contact lists for each of our Deaconesses and Elders; and print out yearly Contribution Statements. I cannot think of any cons - we have always found a way to use FlockBase to achieve every task. Ken in customer service is always very helpful and takes plenty of time to help us with any questions. We have been very pleased with FlockBase and in July, 2015 we started using FlockBase Accounting which interfaces perfectly with FlockBase. Pros: Easy to use, great record keeping system and affordable. Cons: No cons so far. Overall: I replaced our departing Financial Secretary in the fall of 2015 and took a crash course in navigating and using the FlockBase system. I found it to be very easy to understand and I was comfortable with it in no time. When I did have a problem and had occasion to call FlockBase for support (this happened 3 different times and was not due to a problem with the software), they were very pleasant and professional, addressing my problems immediately and working with me until the problems were solved to my satisfaction. They are the best. Overall: Ken Owen was more than helpful. He invested time and energy into helping me get our program up and running correctly. I was and am very appreciative of him and his expertise and his willingness to take the time needed to get our system back on track. Pros: Ease of use and navigation and they continually provide more enhancements. Overall: Love this software, saves so much time! Have scouted other products and have none that have all the bells and whistles that this one does. Recommendations to other buyers: Buy it now, you will not regret it. Pros: Ease of use, User guide. Helpful hints. Overall: Telephone support is superior. Helped me set up, purge data, move data from one computer to another, patient and most helpful with suggestions. Well worth the small price. Pros: It was easy to set-up & learn. Overall: Central Baptist Church is very small in membership, FlockBase Members/Accounting has been the perfect software for our church. I was introduce to this software in December, 2015. I have enjoyed learning the program. I've made mistakes, but the support team was always there to get me back on track. Setting up members household was new to me. Setting up members, I was use to. It was interesting to see how the household set-up tie in with members. Once, I got the hang, nothing could stop me. Learning the accounting software was easy. Back-up was my down fall. FlockBace support team was there to guide me in the right direction (several times). They are a professional group pf people with the customers interests in mind. Setting up a budget is very customer friendly. I would recommend FlockBase to others. Pros: How easy it is to use and understand. Overall: I get my work done in half the time. Great time saver. Very easy to understand the way the program is written. I would recommend to anyone. Cons: What's not to like! Overall: The ease of use is a plus. It is a great value for the money. I researched a number of programs and Flockbase had everything I need. Recommendations to other buyers: FOLLOW KEN'S ADVICE!!!!!!!!!!! Flockbase was just what we needed. Cons: The limited functions in printing reports of the membership. Overall: We are a small church and we were looking for a specific type of software to handle our membership and make our financials easier to maintain. Flockbase was the best we found for the price. We love it. A great program for the features provided at a most reasonable price. Comments: Like many programs, the Flockbase Membership and Contribution program can accomplish many things. We are a small congregation and my application is fairly limited in that I am only using the program to enter and track contributions and print reports. This it does extremely well. The learning curve is minimal but when I do have questions (which have been few) the tech support help from Ken Owen is truly exceptional. It is refreshing to deal with a person that is both tech savvy and a gentleman. I may expand my use of the features of this software in the future but, for now, just using the contribution part of the program is well worth the very reasonable price. I use the "Membership and Contributions" part. Overall grade for it is A+++ ! Comments: Ken Owens has been VERY helpful from the first day I started using this software. What few questions I had at the beginning, Ken was right there. He was extremely patient and prompt and has remained so ever since! The software is well thought out and the User Manual is written so that a new customer can read and understand it at the same time that he's picking up the new words and features. The transition from the old program I was using was almost seamless because of the designers of FlockBase had apparently studied the function of the "Membership and Contributions" position. I would recommend FlockBase without any reservations! Comments: We started out with very little knowledge of software for church books. FlockBase and its support walked us right through it. The more we use the program, the more we appreciate the work, thought, and application for churches in it. Thanks to rep, and his team for blessing the kingdom through their talents that bless us! Our Treasurer appreciates 3 things: forgiveness (you can correct your mistakes), Timing (you can close out the month even after the 31st), church funds (you enter once designated funds). This program was designed for the needs and uses of churches. Flockbse is the most user-friendly software I have ever used. Comments: I have been the only user of this software for our small church. We have subscribed to Flockbase for over five years. I like the ease of use of the features of Flockbase. I like the fact that you do not have to go to a lot of screens to get to where you need to go. The only thing I wish for is to get more variety of reports. I get the reports that are needed to provide to our members. There is nothing I can say negative about the program. If I have a question, it is answered almost as soon as I ask it. The support is great. I hope that Flockbase will be around for a long time. Comments: I have found the software to be very user friendly. I have not had that many questions as the documentation has been very helpful. The times I did need to contact the company I received prompt service and any questions I had were answered correctly. I feel this is a very good system that is low cost for small churches such as mine. I guess the only thing the accounting system doesn't have is accounts payable, but this is not a major problem as we do not have that many bills. I would recommend this software for small churches. Great program for the price. Comments: I transferred our books from Quickbooks to FlockBase last year due to the expense of using Quickbook's payroll subscription and their horrible tech support. You can not get any better tech support than from this company. We have probably contacted tech support about 6 times and each time Ken has answered the phone with no wait time. I would recommend paying for the yearly tech support. There were some things that Quickbooks did that I wished this program had. Fortunately their latest update included one of the items. Complete Software for all of our needs! Comments: The FlockBase software is very easy to use and provides our church with a complete program that suits our needs. We currently use the Church Membership software and it is great. 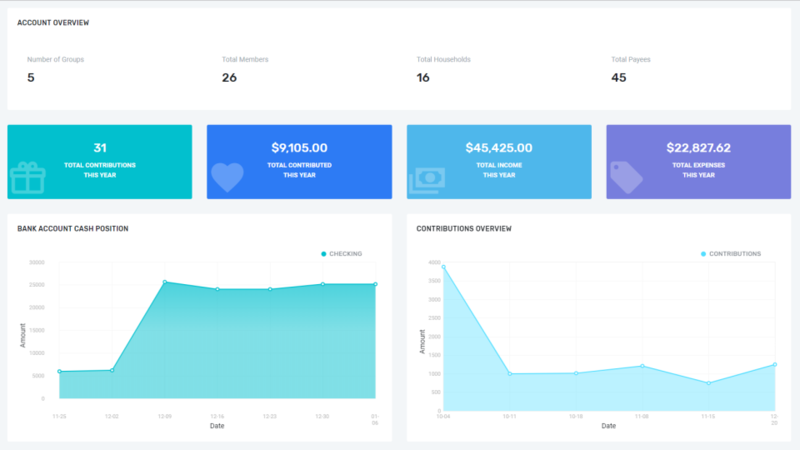 We are able to enter in our members, keep track of all our weekly contributions as well any special contributions that are given to us and send out year end contribution reports to members. It truly makes my job easier and I couldn't be happier with the support that we have received! Thank you FlockBase!! Keep up the GREAT job! Comments: I don't like the fact that all giving by a person for the day is lumped together. I want the report to split everything and check numbers separately. I know I can go to their profile and find it but I would like to see it all at the time of the report. It used to be like that. I responded to Sherry with information about her situation with suggestions as to where the report or reports that she thought had been deleted were to be found. She responded with "I figured it out! Thanks for everything. Comments: This software is easy to use and understand. The user guide gives you a great starting point to input information and keeping track of church information. Our member really like receiving EOY receipts which gives a breakdown of each church outreach they have made contributions to. It's right there for them. Keeping track of new members, baptisms, transfers, for associations or conference meetings has never been easier. My wife gives a report a few times a year and these reports come in handy. I have worked with this software program since 2011. I am not a proficient computer user. Comments: Since I am not a proficient computer user, I was pleasantly surprised at the depth level of support offered by this company. I was able to remain online and telephone for as long as it took to diagnose and fix whatever problem I had with my church's financial records. Alternatively, they would show me how to do tasks by doing them on my shared screen. I understand the software now and it is so much easier to use than a previous program, and includes all the components needed by our small congregation. Comments: The support is wonderful! I had to call yesterday to get Flockbase transferred from our old computer to the new one. Ken was absolutely wonderful and is so easy to work with. He was very patient with this computer illiterate old lady!! I thank him so much for this! I tried to mark five stars on the Ease of use, but for some reason it would not let me. I only marked two stars and I give it 5 stars for ease of use. Now when I look up overall has only two starts and it should be 5 stars also. Comments: When we first ordered the Flockbase software, we were a new church and setting up systems and processes. Also I was new to the responsibility for tracking member contributions. Flockbase is a lifesaver. It is easy to use and it does everything that is needed to maintain the financial records of our church. I have only needed to call for support once. The call was promptly answered and the information was simple to understand and apply to the problem. I highly recommend this system. Comments: I really don't have any cons but all pros. I had a very good experience from downloading the program, setting it up & entering data. The manuals were very informative. I really have not had to contact customer support but a very few times which backs up my previous comment. When I have had to contact customer support I received a quick response that answered my questions completely. We use the membership & accounting programs & I would 100% recommend this product to anyone. Easy User Guide to follow; all the necessary membership and financial reports a church needs. Comments: Best Church Membership and Accounting Software for small churches as well as large churches. Reports are so easy for members to read and understand. FlockBase Support is always willing to assist in any way to solve the problem. I have used both software for about three years and love it. Since I am not a computer person, FlockBase is the best and easiest for anyone to use. Very affordable for any church. I would recommend FlockBase Software to any size church. Comments: Both of these programs are extremely easy to use. You do need someone familiar with accounting to set it us, but then almost anyone can use. They give you information that all the other "big" programs use, but you don't have to be a CPA to learn it. The staff at Flockbase are very friendly and helpful. They go beyond what normal customer service department. I won't use any other programs - this can be expanded for a large church or a small church like ours. Comments: This accounting software is ideal for churches. It provides for accounting for transactions by fund and department. It accurately calculates payroll taxes and gives reports necessary for 941 and W-2 preparation. 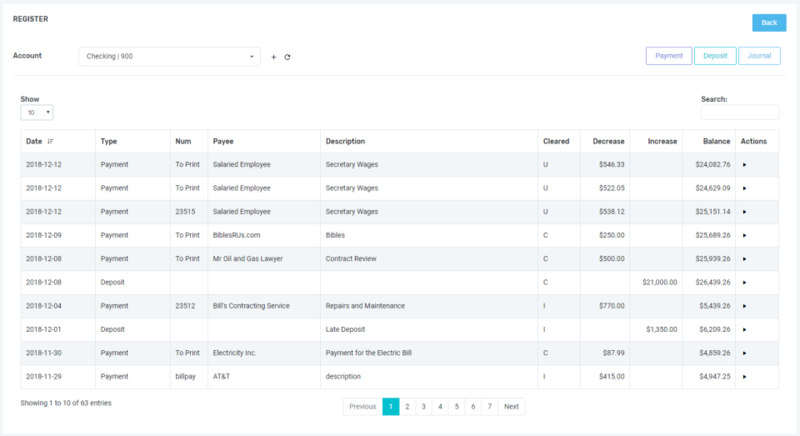 Can get reports by fund, department, or account. Bank reconciliation is a snap. Fund accounting at a low price, which is perfect for the majority of churches. Customer support is terrific and an easy-to-read user guide is provided. Comments: As the financial secretary for our small church, I have found that Flockbase products work just right for our church. Ken is especially helpful, patient and personable when helping the customer and he is prompt at responding to calls for help via email or phone, though I didn't really need help for the past 4 years because the software works great! I highly recommend their membership and accounting software. Their pricing is extremely reasonable also. Comments: I love the FlockBase Software for program! I have used other programs working at different churches in the past and FlockBase is beyond all the others. It is a user friendly program and a great resource for any church who wants to keep membership info and contributions in one place. When I need to print out the end of the year tax contributions for our members it is super simple! FlockBase is a God-send and makes my job more efficient. Purchased in Sept. 2015 and entered data starting Jan. 2015 from check register. Comments: FlockBase Accounting is very good for our small church record keeping. It is easy to add the data and create accounts, funds and payees with this program. After I created funds above 9, the reports were putting the higher number 11 above number 1-9. Support was very helpful and all I had to do to correct this was to add a zero in front of the 1-9 fund numbers. Support is very quick to respond, when I have e-mailed questions. Comments: It is time consuming to set up the membership initially but maintenance is a breeze to update. Software is very easy to use and the manual is very well written. I have only had to call for support once in the 5 years due to a windows upload and I have to give Ken an A+ there as well. The only Con I have is printed report consume a lot paper. But even that can be minimized by using the data sheets. Highly recommend this software. Found it very easy to use. Highly recommend it. Comments: Have used several other membership and contribution software programs over the past 30 years. Flock base is the best I've used. It was easy to install, and the customer service is first class. Even when we lost one of our computers and had to replace it, re-installing the program was a snap with the help of Ken Owen. I would not hesitate to recommend the program to anyone. Fullfills all our needs to track all types of offerings and donations of our congragation. Comments: There has never been a time that my requests for assistance or information have not been fully addressed with satisfaction with just one call. Teriffic support on software questions without being made to feel a dummy . No sense of irritation with any question -just earnest help. Ken is about the easiest to help with my problems as I have to deal with any other vendor. 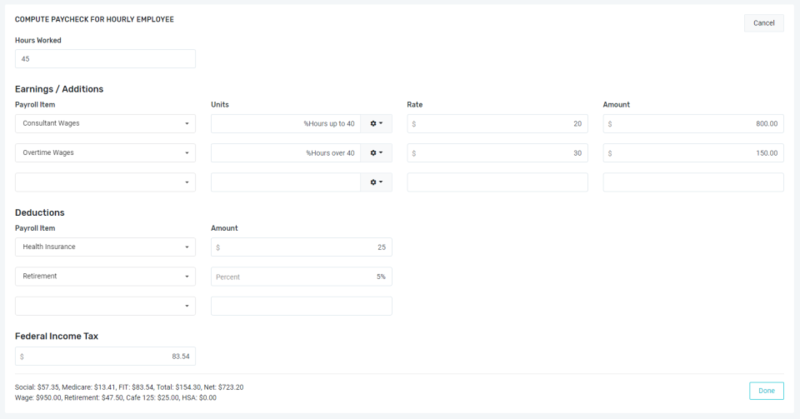 Comments: I have been using the FlockBase Accounting product for 1 year and I love it. Very user-friendly and built for people with minimal accounting knowledge. Decided to buy the Membership and Contribution package to have a seamless system. Great customer service with prompt responses to any and all questions. You can't beat this product for the price and support! Product is easy to use and support is excellent. Comments: Pro: Ease of use, comprehensive and support ,when needed, is excellent. No cons, the support team has always been receptive to thoughts for future releases. Whenever an "off the shelf" package is used there are always things one might want to do differently. But for the price and their understanding of the unique needs of a church, Flockbase is exceptional. Easy to use software with excellent customer service! Comments: I can't think of any cons at the moment. The software is easy to install and super easy to use. The manual is very helpful in setting up everything. It does help to have a little bit of accounting knowledge, but if you have questions, you can contact them and generally have an answer the same day or the next at the latest. I love the Flockbase company! Comments: Flockbase is inexpensive, yet does what I needed it to do. I always sent contribution reports to all of these who donated money or goods during the year. 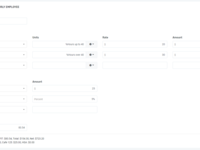 Flockbase is also easy to use. I have used it for 5 or 6 years and am completely satisfied. I recommend it wholeheartedly to small to medium sized non-profits. Support is excellent also. Comments: The software is straightforward to use and has made keeping track of our parishioners and their special dates very simple. I can quickly get any information I need with just a few clicks. My secretary really appreciates FlockBase and uses it all the time. Any issues we have (which are very rare) are handled quickly and professionally. From initial download to report outputs, FlockBase is very user friendly. > Support is very attentive and ensures satisfied with results whenever a problem. The program is easy to use. I have not had any problems with the software. Comments: I have no cons about this software. It makes documenting the tithes and offerings easy. It is not complicated at all. I'm not very computer savvy, I find this program easy to navigate. Printing the weekly reports and the end of the year reports is a matter of clicking a few buttons. I highly recommend this software to any church. Excellent church overall data program. Comments: Flockbase was easy to learn, just by following the step-by-step directions and, of course, calling Ken has been extremely helpful. He has walked me through several things that I wasn't sure about. Also the tutorial has been very helpful to refer to. I would be lost without Flockbase and use it every day!